A few weeks ago I had a conversation with a few of my colleagues here at school about the amount this article of testing that goes on that the State is requiring. We received our list of testing dates to give the PARCC test which is from the Common Core. I was amazed at home many more dates and hours teachers have to give up to testing. I read an article from the Columbus Dispatch the several weeks ago that talked about reducing the amount of testing hours. You can see from this article from the Dispatch some of the recommendations for the reduction of testing from nearly 20 hours down to 16 in the 2015-16 school year. As you read it you see most of the reduction happens to the early elementary students, not so much the middle and high school students. So this year students will be testing nearly 20 hours. That doesn’t include all the practice testing, and sample questions given to students to practice in and outside of the classroom. With all this testing, where is the creativity? Where is the idea that students should be tought how to think divergently? The PARCC tests don’t enforce this kind of thinking. Teachers know that test scores are what administrators look at, and care about. Don’t get me wrong, I think testing is fine. I just have a problem with the amount of testing. We test so much students aren’t as creative as they used to be. Teachers don’t do as many units where creativity is a factor. We structure everything we do around the State test. We have to follow the district curricula map to stay on track. When we do some of the larger projects that take days or a week to do that may put you behind in your map. So what do we do? We stop doing the large projects, and focus on small activities instead. I grew up in the 1980’s, and graduated highschool in 1993. I had some awesome teachers, and some that challenged me through the arts, language, and yes….to be creative. We didn’t have as any tests as we do now. I had a great education, and I had a great foundation when I went off to college. What kind of foundation are we giving our students? How to take a test? Life isn’t about taking a test. Life isn’t about trying to figure out how much space Mr. Moustache has left after putting 25 watermelons in the backseat of his car. We need to get back to teaching our students how to figure out real life questions and issues using divergent thinking, creative thinking, and using their imaginations. I honestly believe this is becoming a lost art. This is why I love to use Project Based Learning in my classroom. It is hard to test, because just like life there isn’t always one correct answer. There are a variety of ways to answer an issue or a problem. We have to show our students how to answer the same issue or problem in multiple ways. Testing has its place. I know that. But we have to be thinking about getting our children ready for college or real life…not just the upcoming State test. What do you think? Is creativity a lost art? How much of a push do you push your gifted students? How deep into a subject do you expect them to go? How deep do you expect them to go before they bottom out? I ask those questions, because those are the ones I am asking myself lately. One aspect that I am having my students do with their projects is to have them do a dry run presentation with an adult before they do their final presentation with me. One teacher in my building made the comment that it seemed like my students really worked hard and dove deep in a project. This teacher also asked me how I get them to do this level of work, when they don’t do that kind of work in some of their core classes. I told him that I think our students our students are being superficially challenged, but not to dig deeper into a subject. I suggested that being challenged and diving deeper are two different things. He disagreed which is where our conversation ended. I believe that students can be challenged and not dive deeper into a subject, and vise versa. I feel that to as teachers we need to do both challenge and encourage diving deeper in extension projects. Which leads me into this post. Yesterday, I talked about the fostering the love of learning. I try to create a classroom that is exciting, and open to learning. I try to create units I think my students would like. BUT…do my students bottom out while doing their projects? I am not sure if they do to my satisfaction. One element of my class I feel is really important is asking questions. I feel that my students do better with a facilitator type classroom than in a teacher centered classroom. In a facilitator classroom asking the right questions is vital. Here is a few things that I am working on to help me help my students to bottom out. Don’t ask simple one word questions. Ask questions that move students from factual to conceptual. Ask questions that help students to make connections to prior knowledge about concepts and skills. Give students time to respond. Asking the right questions is only part of this process of bottoming out. It is important for facilitators to ask deeper questions, but it is also important to give students the direction, materials, and skills to go deeper on their own. Facilitators need to show students how to find valuable resources. Honing research skills is a life long skill that will help them in life. Linked with that is organizing materials so they can see connections and directions. One aspect that I am incorporating in to my classroom is using mind maps. Mind maps can be very helpful when figuring out the parts of a project. Students can ask questions and link those questions to other questions or places to look to the answers. Mind maps are so versatile and can be used in so many different ways. I am not sure why I haven’t really done this before. There are also mind maps apps for the iPad, or google tablets. There are also many different websites students can use that could be linked to their Google Docs. Here is a few mind map resources. Here is a great website for mind map iPad apps. One thing that I tell the regular education teachers in my building that challenging gifted children doesn’t have to be a challenge for you. You don’t have to know the answers. Give them extension assignments. assignments that help them dive deeper into an area of what you are teaching. Give them a few questions to start. Let them develop their own ideas and direction they want to go, and let them be creative in the product they design. By placing fewer restrictions on them it will allow them to be free to look at ulterior view points, and look at facts from different angles. It’s the same here in my pull-out program. I give them some direction. depending on the student I will do some scaffolding, and more direction. When giving extension projects or project-based (PBL) units it is important to know your students. It is also important to show students where their strengths are, and teach them how to make those stronger. I go back to the question…how to get students to bottom out of an extension project or PBL unit? I don’t think that it is possible. I think there are so many roads in and out of a subject that the farther in you go, there is more roads you find. I think it is important to show students that there are many roads, and to explore the roads that lead them to the most success educationally and personally. I was going through our school library magazines this morning and came across a stack of them that the librarian was putting away. I saw a magazine, Scholastic Instructor the 2011 Holiday edition, and it in there is an article called Challenge your Top Students: 10 ways to meet the needs of your advanced learners-and help the rest of your class, too. by Joan Franklin Smutny. In this article are ten very good ideas to help challenge your gifted students in the regular classroom. Improve: Give them opportunities to correct errors, refine visions, improve and elaborate. Exhibit: Find venues for students to show, demonstrate, perform or exhibit. One side of the coin is students. 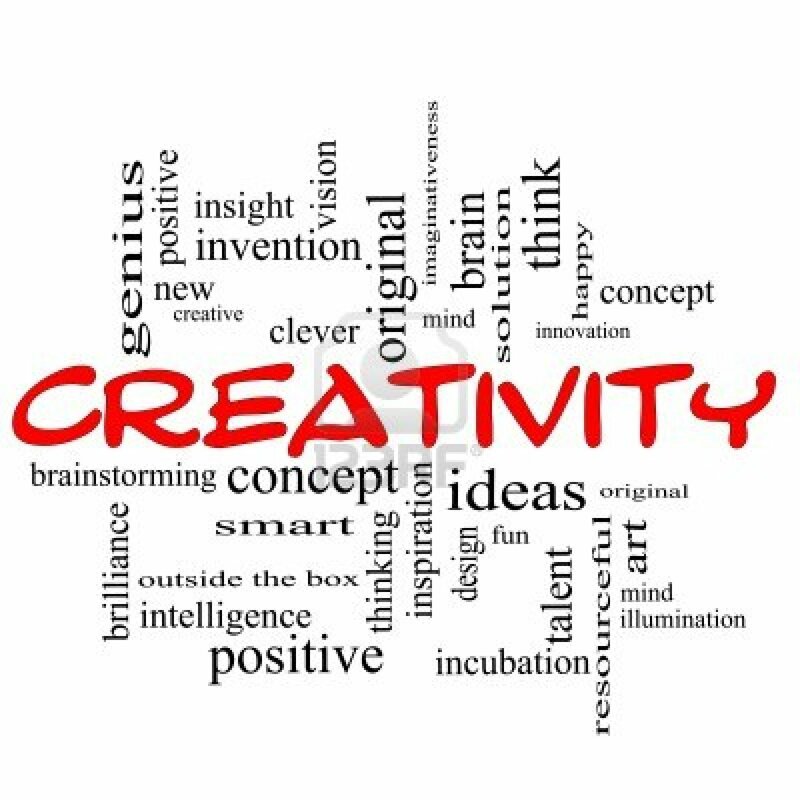 Many students look at creativity as something artists, musicians, and writers have. I borrowed her subtitle of this section from her article for my title, because it really goes with what I tell my students. There is no limit to creativity. So you are not an artist. Its alright. You have creativity in the form of creating an app or program on the computer, or your Mindcraft city is so elaborate that you make it look like something off of Google Maps. On the other side of that coin, is the teacher. We need to look at “outside of the box thinking” when it comes to advanced learners. Teachers, and I include myself, need to stop worrying about how much work it takes to create something that a small group of students would work on and focus on the fact that we are there for the students. We need to take our own creativity and focus it to challenge students. We need to look at our curriculum differently. We should see the State Standards as the minimum requirements, and work up. The State Standards are the foundation of what we do, and our creativity are the bricks we use to build our fort of fun. For regular education teachers the easiest thing to do is to create extension projects for advanced learners. The last thing these students need is just more busy work since they get done early. That will kill their creativity, and their love of learning. Give them a project based on your subject, but give them the choice of where to take that project. Don’t do more paper and pencil work. Have them use their imagination. Let them work in small groups to collaborate and create. At that point you move from teacher to facilitator as you support your students creativity. You may say, as I do, I am not that creative. One aspect of creativity is an attitude. If you think your aren’t creative you are limiting yourself. The other aspect of creativity is to take what is out there, and adjusting it to meet your needs. Use social media in your classroom. Create accounts on Pinterest, Twitter, Instagram, and Facebook and find ideas that you can incorporate into your classroom. Millions of minds together are always better than one alone. Search the internet to find resources and ideas from websites. There are millions of pages out there to help you no matter what grade or subject you teach. Remember, when you limit your creativity you are limiting your students as well. What are you doing to foster creativity in your professional life and in the life of your students? Everyone Needs More Apps and Links, Right? This afternoon, I was cleaning out my Google Drive of some old documents and things I no longer needed and came across a presentation that I had planned on presenting sometime back. I didn’t get the chance to because of some reason I don’t remember. So I decided that I would go ahead and post here. I wanted to also share it below. Just click on the picture below and it will take you to the presentation. One thing that I love to do in my classroom is introduce new technology to my students when the opportunity presents itself. Whenever I can use technology to enhance my teaching I will, but using technology without context isn’t good teaching. Having more apps and websites in your repertoire doesn’t necessarily mean you a good teacher. Technology is just a tool we use to help teach our children. Don’t let technology mask bad teaching. Just use it like anything else. Don’t force it. Introduce new technology to students by giving them some examples of what it can do, and explain how the new technology works. Give students a little bit of time to explore how the new app or website works. introduce the new app or website in the context of what they will be doing. Just don’t introduce new technology just to show it off. Don’t introduce multiple websites or apps at the same time, unless your students are very tech savvy. Always give context to how the new technology will be or can be used. Use technology, including the internet to produce and publish writing, and to interact and collaborate with others. So, to conclude, technology isn’t going away. It is going to become more infused in our culture at school and in the workplace. What are you doing to prepare your students with technology skills they will use in the future? Common Core: A Good Fit for Gifted Education? I really haven’t made up my mind yet as to how I feel about the standards. I personally am still trying to figure it out and how it will affect my students. I have read many view points in emails, blogs, and in some magazine articles. The battle is on for education in America. What I do like about this battle is for the first time in a long time the students at the top are in the forefront. Gifted students often left out because many feel they can survive school on their own with little direct instruction. By the way isn’t true. No child regardless of ability should be left to just survive school. They should be driven to thrive in school. Yesterday, a friend of mine on tag me in a tweet. The tweet contained a great video by Dr. Christ Tienken. You can check out his website and blog here. This video is very good. Its full of facts and ideas. I will let you make your own decision if you agree or disagree with what Dr. Tienken suggests. I would like to hear what you have to say after you watch the video below.